Usually when the least amount of snow coats our area, the National Park Service shuts down most of the avenues on the south end of the battlefield. 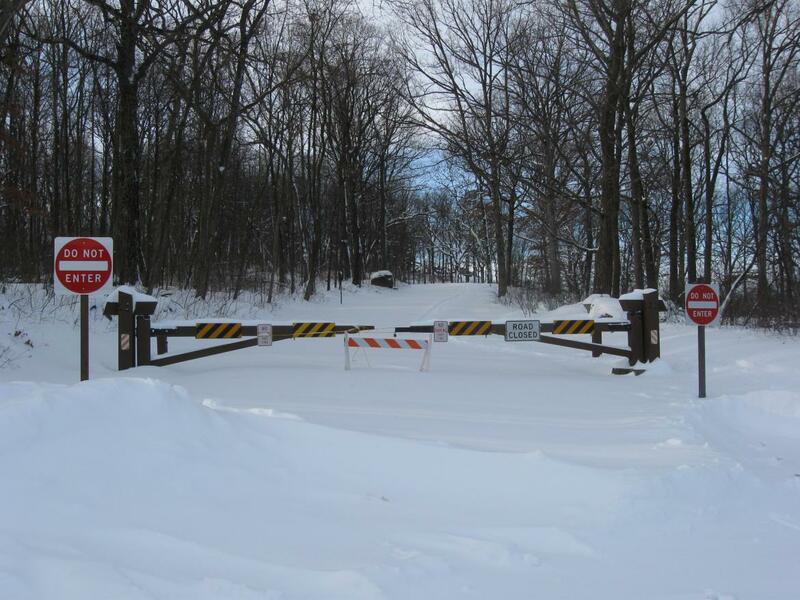 It will take the Park Service some time to plow all the avenues and open them up. So we couldn’t drive up Sykes Avenue. We’ll park our car on the north slope of Little Round Top and walk to the top from here. This view was taken facing south at approximately 8:00 AM on Sunday, December 20, 2009. 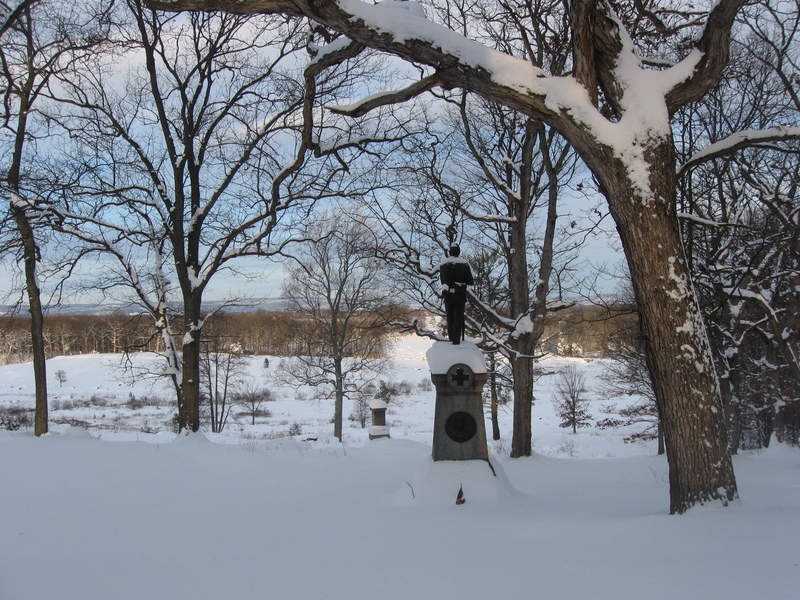 This week we will present photographs taken during and after the December 19th “blizzard,” which officially brought 16 inches of snow to the Gettysburg area. 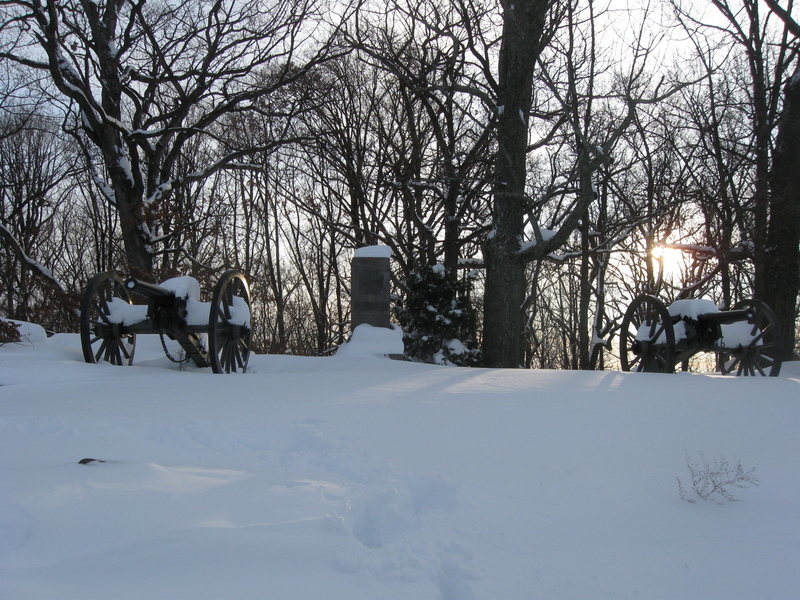 Because this amount of snow is rare (or at least it has been the last few years) we will first take you to Little Round Top, and give you an idea of what that amount of snow looks like from one of the most important vantage points on the battlefield. But before we ascend, here is an updated view of our customary panorama. This view was taken at approximately 8:00 AM on Sunday, December 20, 2009. Including one with labels. This view was taken at approximately 8:00 AM on Sunday, December 20, 2009. 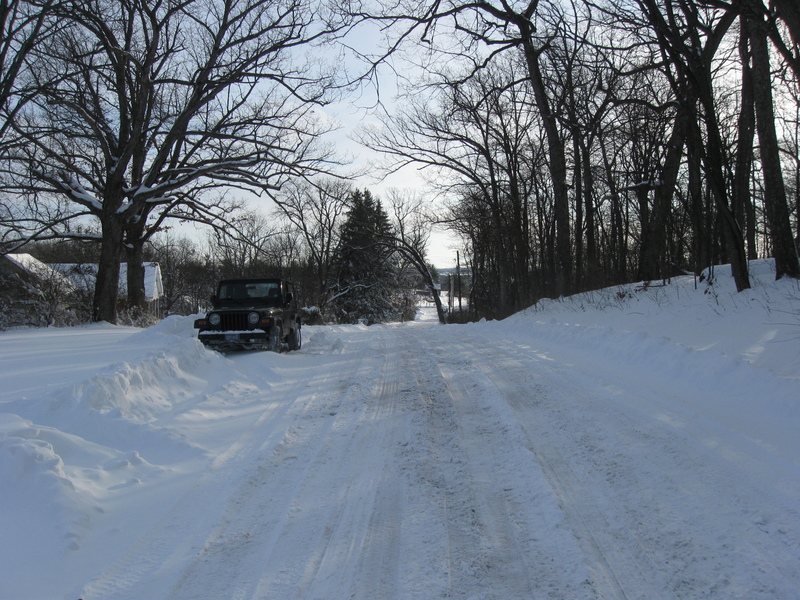 The Wheatfield Road had been somewhat cleared, so we pulled our vehicle off to the side of it. This view was taken facing east at approximately 8:00 AM on Sunday, December 20, 2009. 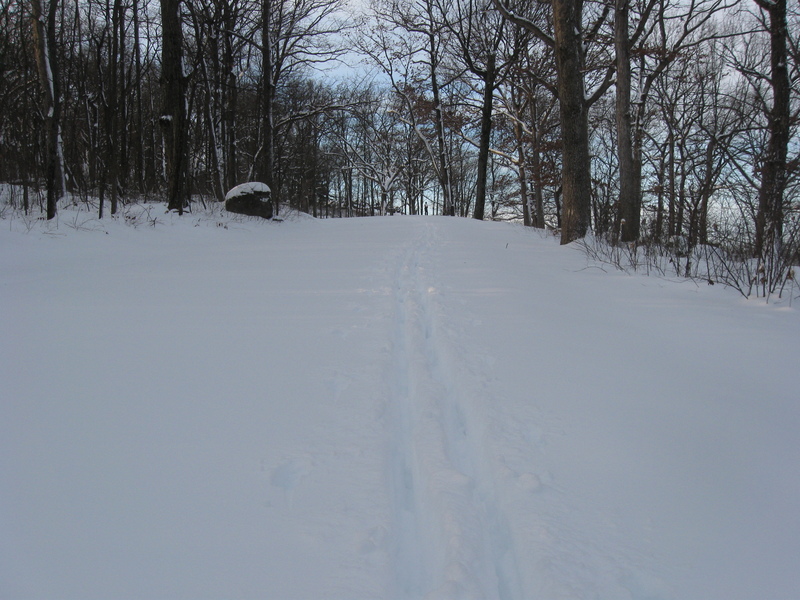 Someone had already beaten us to the summit using their cross country skis, so we will gratefully try to step in their tracks on the way to the top. This view was taken facing south at approximately 8:00 AM on Sunday, December 20, 2009. A view of Plum Run Valley/Valley of Death from the area of the monument to the 121st New York, shown in the foreground. This view was taken facing west at approximately 8:00 AM on Sunday, December 20, 2009. Snow significantly covered the rock upon which the statue to Brigadier General Gouverneur K. Warren is located. This view was taken facing southwest at approximately at approximately 8:00 AM on Sunday, December 20, 2008. The sun rising over Hazlett’s Battery. This view was taken facing east at approximately 8:00 AM on Sunday, December 20, 2009. 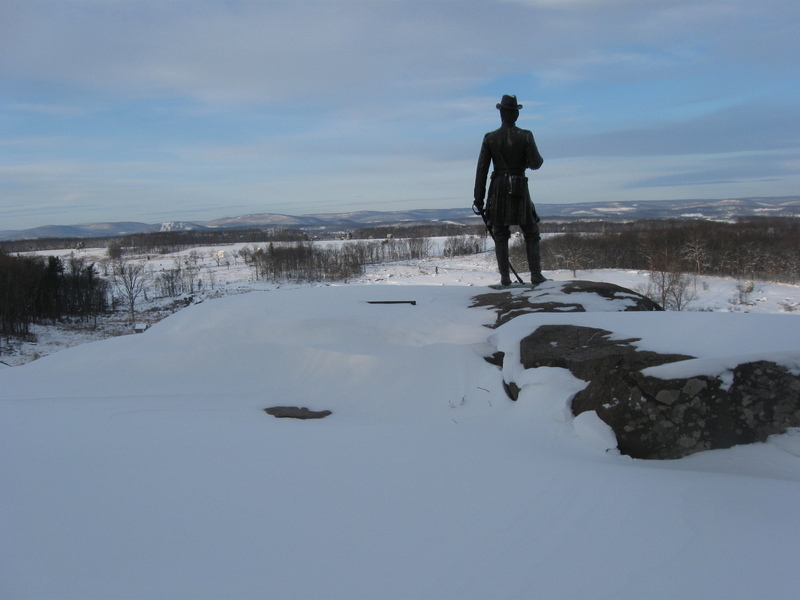 The most read wayside exhibits on Little Round Top. The Warren statue is in the right background. This view was taken facing northwest at approximately 8:00 AM on Sunday, December 20, 2009. 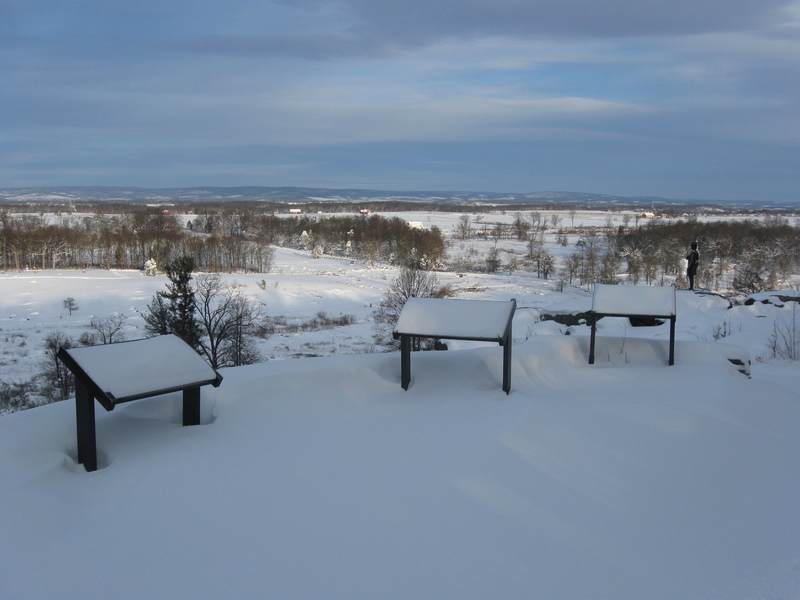 See also: Little Round Top Panorama: December, 2009.